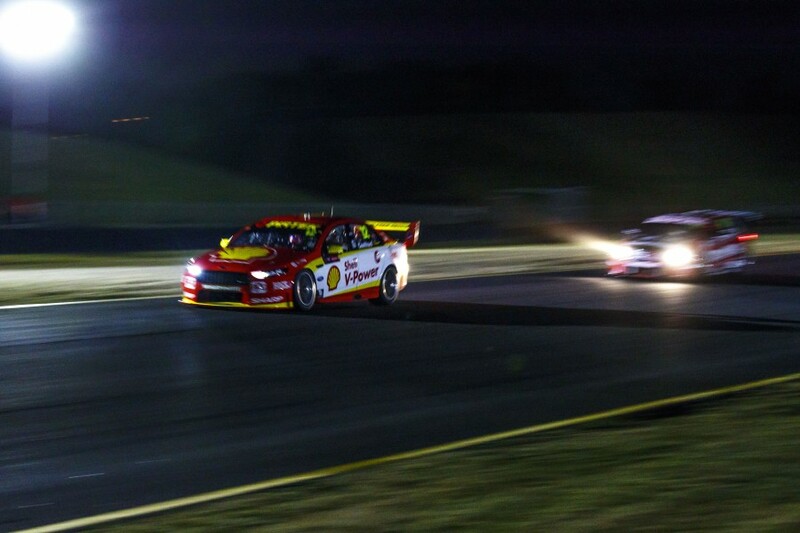 Supercars drivers Fabian Coulthard and Simona De Silvestro are eager to tackle a night race at Sydney Motorsport Park next year after a special test under lights this evening. 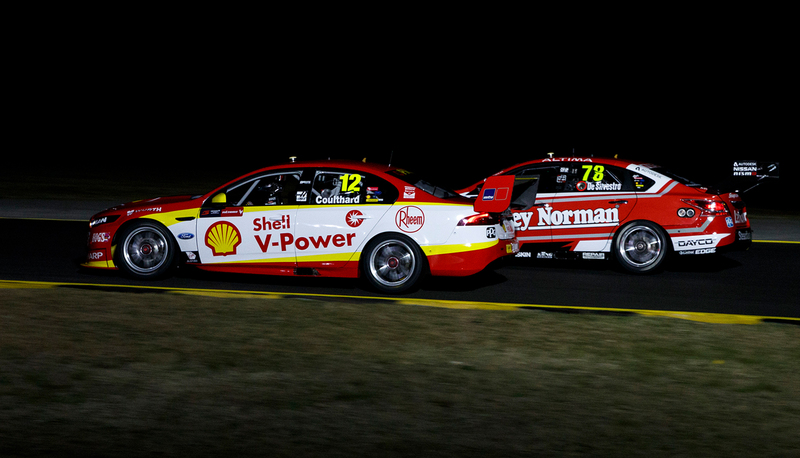 The #12 Shell V-Power Ford and #78 Harvey Norman Nissan completed just under 30 minutes of night running at the Western Sydney venue. Supercars will now debrief with the drivers and analyse the television footage captured ahead of a potential night event next year. Temporary light towers were placed at turn 2 for the test and will be moved to other areas of the track later this evening for further running with the category’s Vodafone Safety Car. The Safety Car was also on track with the two Supercars, driven by Lucas Dumbrell Motorsport's Alex Davison. 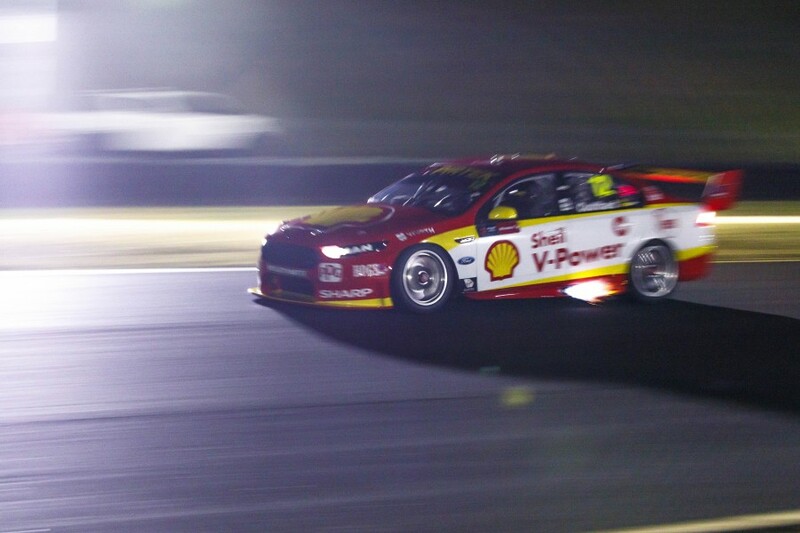 “The areas where it was lit up were awesome," Coulthard told Supercars.com after the run. “We could have a few less shadows, but I think for the purpose of the experiment it was definitely worthwhile. De Silvestro has experience racing IndyCars on ovals under lights and says it’s relatively easy for drivers to adapt to night conditions. 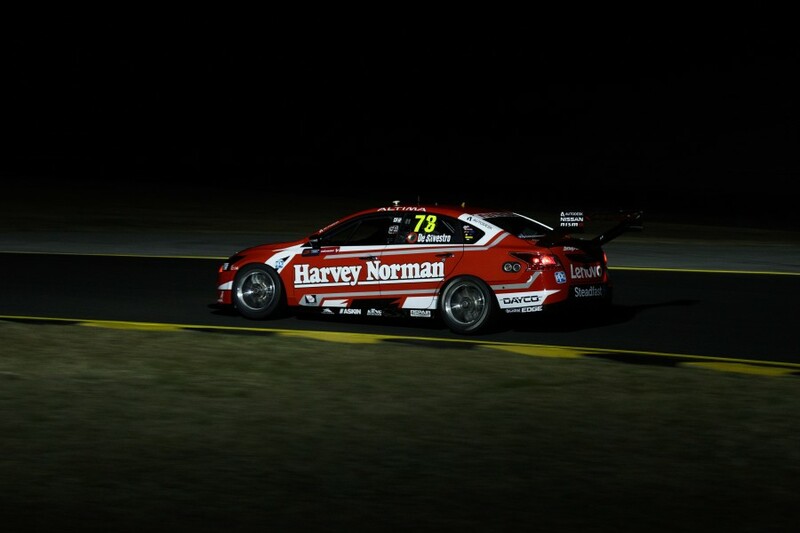 “It’s hard (to judge) because we only had one corner but I think the lighting was quite good,” she told Supercars.com. “Maybe one more light in the middle of turn 2 (would be good), but I think it’d be fun to race like this, definitely a bit different. “You see the dust way more when you’re following a car so it’s a bit of a different aspect but you get used to it pretty quickly. “Once you’re under the lights it doesn’t really feel that different, it feels day-ish under the lights. 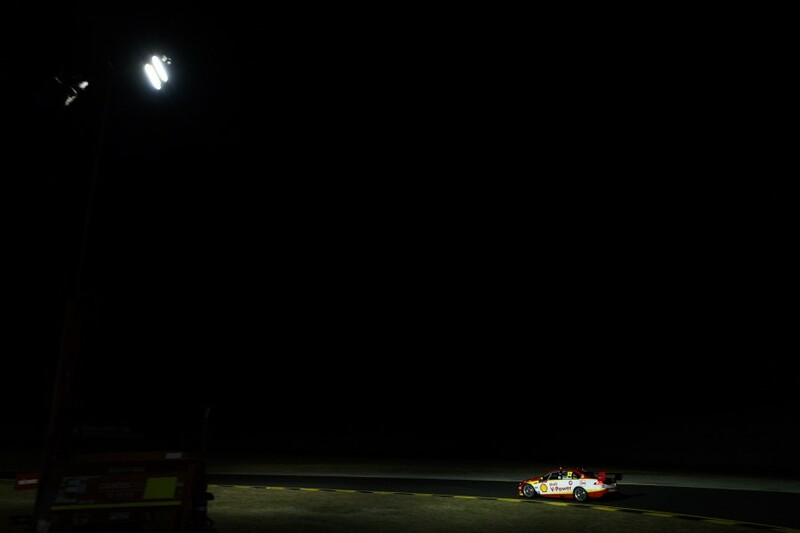 “In IndyCar the first time you do a night race the scariest part was the sparks that you get because in the day you don’t notice them at all and then suddenly it seems like the car in front is on fire! De Silvestro noted that the white trackside brake markers would likely need to be tweaked to another colour for night racing due to the glare from the lights. Coulthard meanwhile noted that the headlights, which his team had uprated for the test including removing the usual smoked covers, would need further improvements. “It’s not enough,” he said of the headlights. “I think it’s potentially an area we could have a bit of work so they face up the road a little bit more rather than the ground because it’s very easy to out-drive the headlights. Coulthard also added his preference for racing on the full 3.9km layout, rather than the 2.8km north circuit used for the test. “I think it’s too short,” he said. “There are some key areas of the track that are good passing opportunities, I think it’d be a bit processional if we stuck to that short little track. 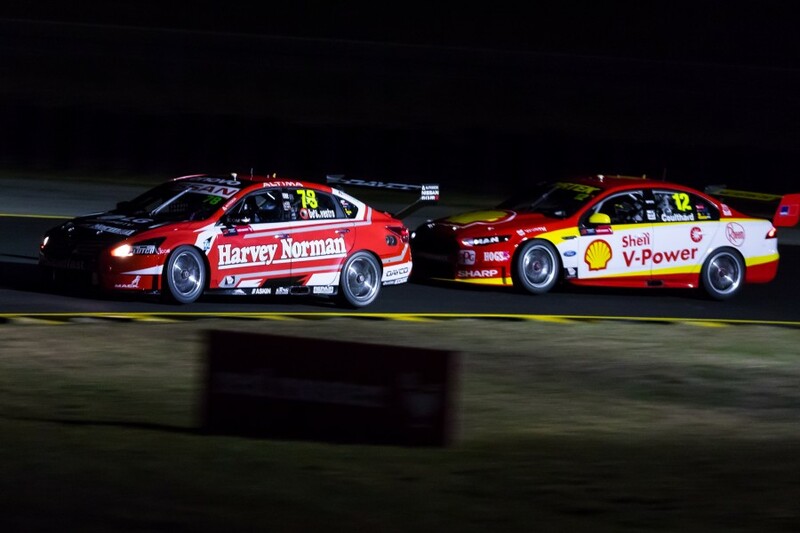 Supercars CEO James Warburton has mooted a Thursday night event using the full circuit next year, pending the analysis of the television footage captured during the test. The full field will take to the track tomorrow for practice at the Red Rooster Sydney SuperSprint.